The farm will be entering its 19th season of production in 2019! Our produce is carefully grown using only natural and sustainable methods. The farm is located in Northern Orange County and offers a Community Supported Agriculture (CSA) program to the Triangle area. A CSA program markets its produce and fruits directly to the local community, while allowing for the community to directly support a local farm. Members purchase a share from the farm prior to the growing season. The farm then supplies the families or individuals with fresh seasonably grown produce once a week, each week, for the length of the growing season. The weekly distribution consists of a wide variety of crops, which varies depending on what is in season as well as individual crop success. You can also find us at the Carrboro Farmer's Market year round on Saturday mornings from 7:00am-Noon. Please let us know if you have any questions, we look forward to hearing from you! Naturally grown, all our produce is nutrient rich and fresh. 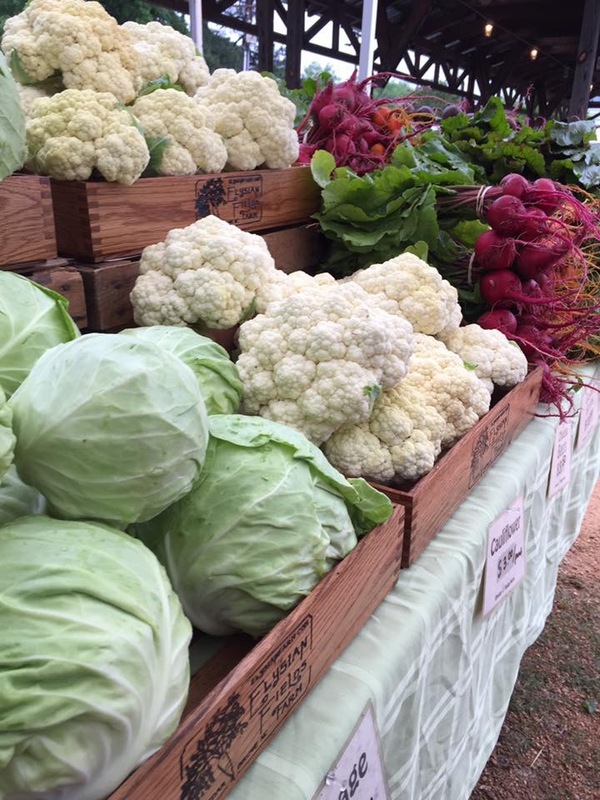 We offer a CSA in the spring, summer, and fall and sell at farmers markets seasonally.